AIRS is one such institution which endeavors and continuously strives for excellence towards the delivery of services to the persons with developmental disabilities; developing appropriate models of care for persons with developmental disabilities; and identifying, conducting and coordinating research in assessment, education, training and rehabilitation of persons with developmental disabilities. Amity Institute Of Rehabilitation Sciences AIRS, Noida offers various graduate courses as well as Post Graduate courses. 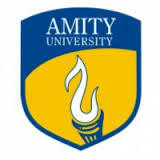 Amity Institute Of Rehabilitation Sciences AIRS, Noida is affiliated to Amity University,Noida. List of facilities available at Amity Institute Of Rehabilitation Sciences AIRS, Noida for students. This page was last modified on 9 February 2016 at 13:02.